Obesity, which can dysregulate hormones that act in multiple brain regions, is associated with lower cognition in adults, the researchers said. But until now, despite the increasing prevalence of childhood obesity, there has been scant research on whether weight status impacts how children learn, remember information and manage attention and impulses. "The first few years of life are critical for cognition development, and we investigated whether early-life adiposity has an impact on cognitive abilities later in life," said Nan Li, lead author and a postdoctoral research associate in Brown's Department of Epidemiology, who worked with faculty member Joseph Braun on the study. By measuring weight status with a weight-for-height score, which is recommended by the World Health Organization, Li and Braun's study avoided problems associated with previous studies that tracked rapid growth or weight gain, they said. 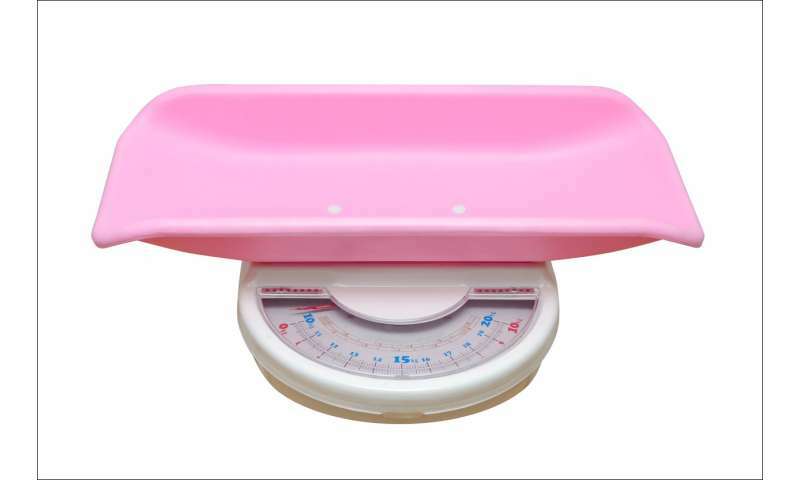 Some children who gain weight may grow rapidly but be lean, while other children may have consistent overweight/obese status but not be classified as having rapid growth. Assessing weight status by looking at weight relative to height, on the other hand, measures adipose tissue. The researchers wanted to study the impact of early-life adiposity on neurodevelopment in children. "We were particularly interested in those children who were at great risk of being overweight or obese," Li said. The researchers wanted to explore whether those at-risk children had lower cognitive test scores compared to lean children, she said. The children in the study took a series of tests that assessed their general cognitive abilities, memory, attention and impulsivity, according to the study. One set of tests measured children's overall intellectual abilities, including verbal abilities and organization skills. A set of computerized tasks assessed children's attention, impulsivity and executive control, and a maze game tested the children's visual-spatial memory. A sequencing test assessed working memory, and another set of tests assessed perceptual reasoning. "Excess early-life adiposity was associated with lower IQ, perceptual reasoning and working memory scores at school-age," Li said. IQ refers to overall cognitive abilities, while working memory falls under the domain of executive function, which the authors described in the paper as the set of self-regulatory cognitive processes that aid in managing thoughts, emotions and goal-directed behaviors. "Executive function is associated with academic success in children and is critical for physical health and success throughout life," the authors wrote. Perceptual reasoning tests, according to Li, "assess children's ability to examine a problem, draw upon visual-motor and visual-spatial skills, organize their thoughts, create solutions and then test those solutions."